Idukki is a beautiful hill station located in Kerala. Idukki is the place you want to be to unwind and relax and forget all tensions of the world. The name Idukki has been derived from the Malayalam word “idukku”, which means narrow gorge. Traveling to Idukki is an experience in itself as the place offers a great combination of traditional and modern comforts. Check out our various related sections that shall provide information on when and where to travel in Idukki. Three big rivers namely Periyar, Thodupuzhayar and Thalayar surround this place. These rivers are helpful in creating electricity and an estimated 66% of Kerala’s electricity is generated here by the various hydel power projects set up by the state. There are many places of interest that are worth the visit in Idukki. The famous wildlife sanctuaries located in this place are a paradise for nature lovers and photographers. The hill station offers plenty of opportunities to treat your eyes. The mist clouds on hills, the velvety green landscapes and the early morning dew drops, all lend that magical charm to your holiday in Idukki. 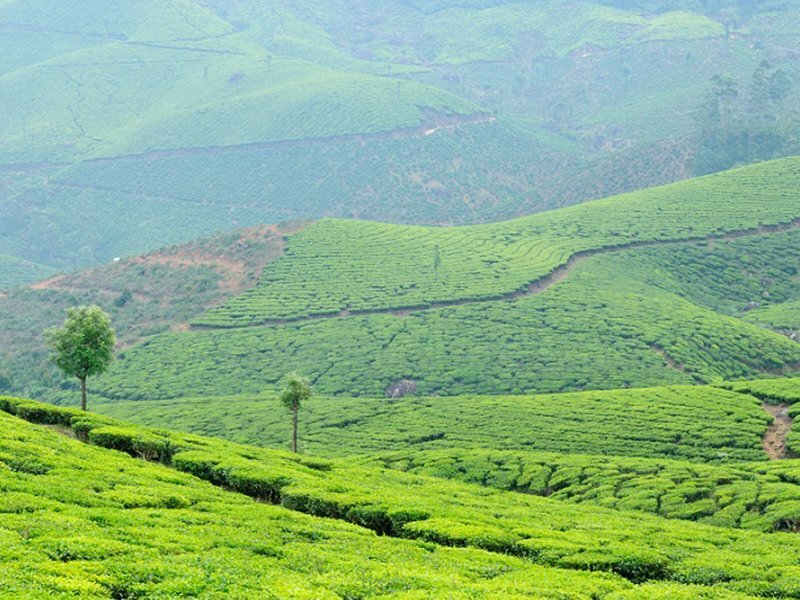 Take a trek on the steep hills or ride an elephant while going for a plantation tour. Soak yourself completely in the tranquil surroundings of Idukki and feel fresh, re-energized and rejuvenated again.